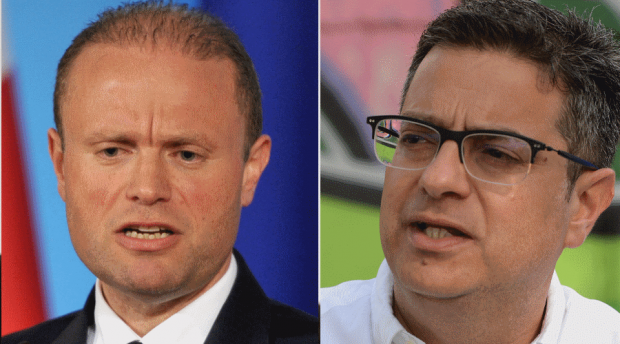 Joseph Muscat (left) and Adrian Delia (right) lead a political class which is faring poorly on trust ratings. Public trust in Maltese politicians has deteriorated, falling 17 places in the World Economic Forum’s competitiveness index. The annual report assesses the competitiveness landscape of 137 economies, providing insight into the drivers of their productivity and prosperity. In the latest index published this week, Malta’s was ranked in 74th place when it comes to public trust in politicians, down from 57th place in the previous index. Malta also fell 10 places in the index measuring favouritism in decisions by government officials and now ranks 89th. It is not all bad news though because the country’s overall competitiveness ranking improved, with the island now listed as the 37th most competitive economy in the world, up three places. When considering the infrastructure, Malta ranked 98th for road quality, a marginal improvement from the 100th place it occupied in the last index. It also made a marginal three-place improvement in the quality of electricity supply, up to 71st place. Malta is the best-performing country in terms of inflation and 85th when it comes to government debt. It did well in the health and primary education sectors and was found to be the best performer globally when considering the level of HIV prevalence among the adult population. With a life expectancy of 81.9 years and a primary education enrolment rate of 98.4 per cent, Malta placed 16th and 13th respectively. It fared badly in relation to the goods market efficiency, featuring in the lower tiers when taking into account the number of procedures followed to start a business and the time taken to set it up. The most problematic factors for doing business were identified as inefficient government bureaucracy, insufficient capacity to innovate, inadequate supply of infrastructure and access to financing. Corruption was identified as the seventh most problematic factor for doing business. Crime, theft and poor public health were flagged as the least problematic. Economy Minister Chris Cardona said Malta’s overall improvement in the ranking was a notable development. Switzerland was ranked as the number 1 country where to do business, followed by the United States and Singapore.